Strategy and creative for this green juice trailblazer and cancer thriving queen. 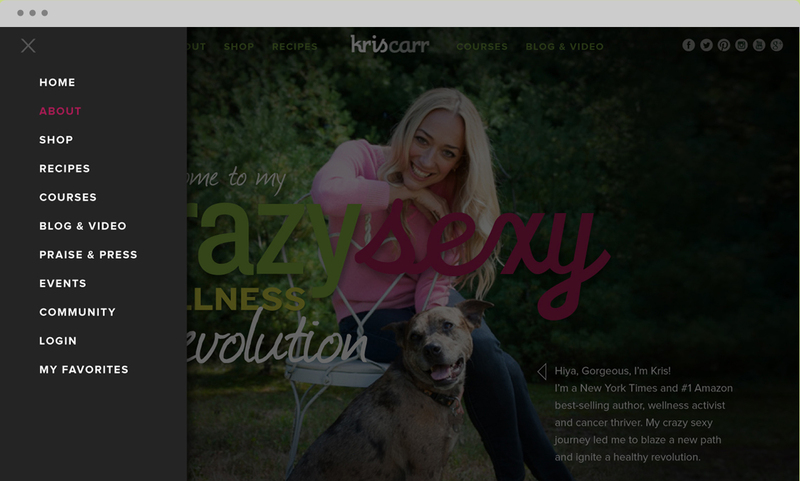 We had an opportunity to pitch Kris Carr when she was considering revamping her website experience. She was in dire need for a website overhaul. 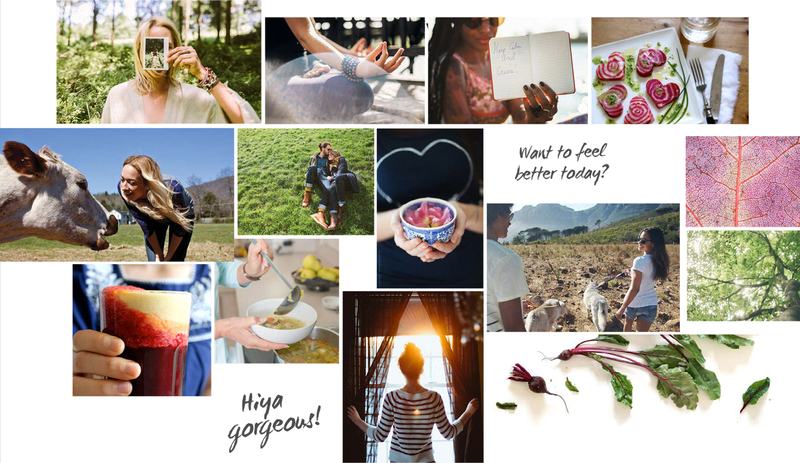 She had outgrown her backend and was desiring a more next-level site that was fresh, clean, easy to navigate and included all the bells and whistles. 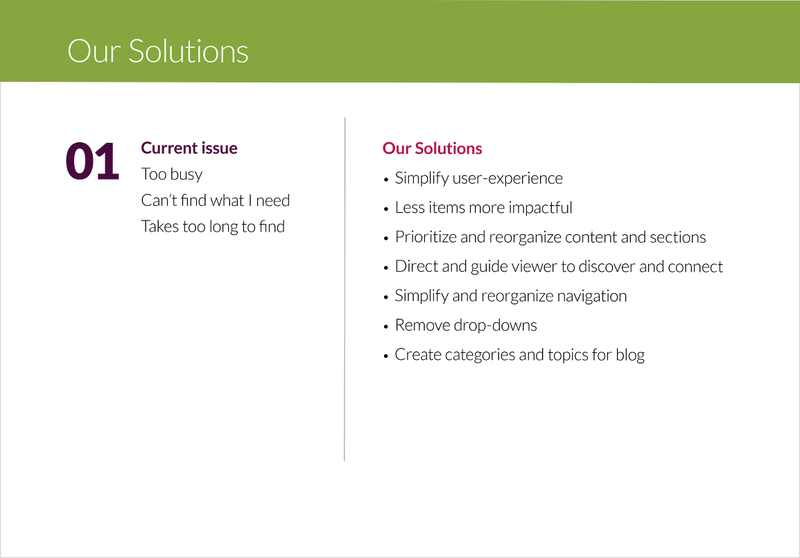 One of the big issues of her site was that it was too busy and visitors weren’t able to find important stuff quickly. We also wanted to lead first-time visitors into understanding her cancer story and her movement. 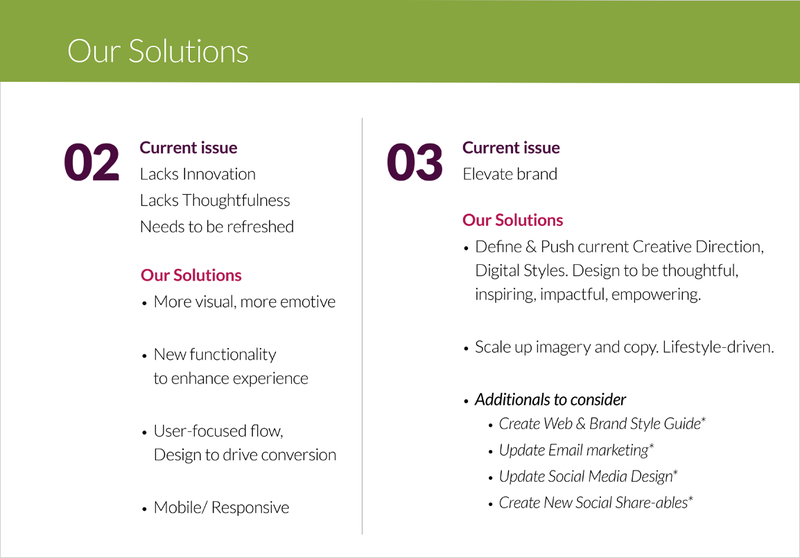 Kris and her team felt we captured everything they’ve been manifesting for their brand. We created a fun way to find recipes. 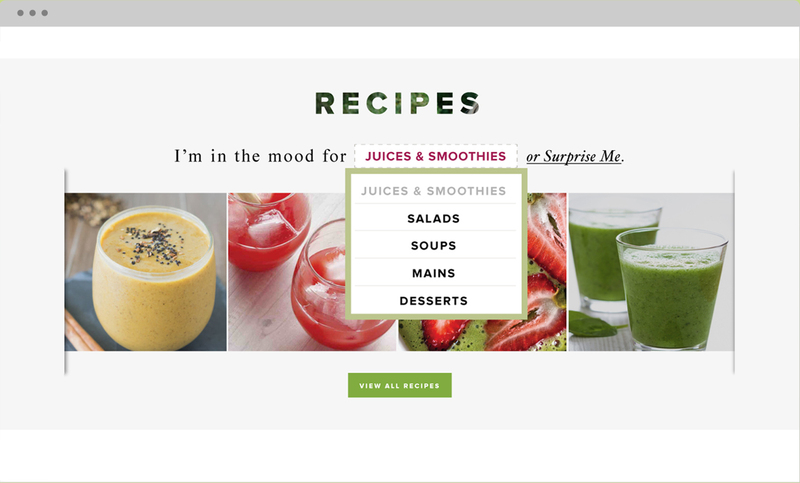 Viewer can find recipes by this dropdown menu or clicking “Surprise Me” to reveal a selection of other interesting choices.